So here we are halfway through January and I feel halfway recovered from the holidays. Actually I’m pretty much caught up except I started to really clean my home office (translation = throw out junk) and it looks messier than ever. I picked up a couple of wheeled carts from Staples and they are proving to be very useful for storing all my specialty papers, labels etc. OK, so here’s how I did on the holiday sewing/knitting prep. Most of the sewing got done; very little of the knitting. The cute hat for my great niece was finished but I did something weird and it’s not getting on anybody’s head – very tight carryover of color change yarn I think. 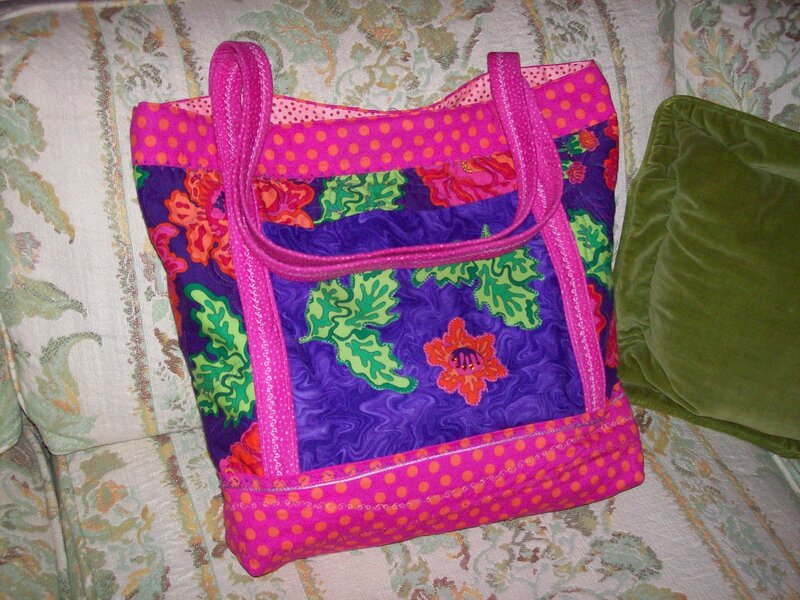 This is the tote bag that I made for Grandma Betty’s caregiver. I’ll post photos of some of the other completed projects. Previous postHelp – what to do first???? ?